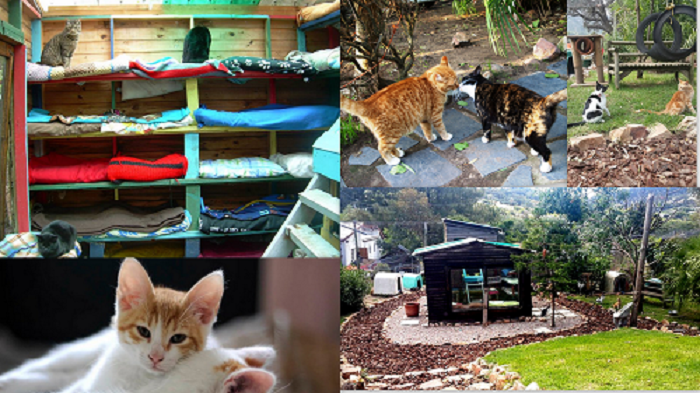 DARG has an extensive cat garden for adoptable cats who tested negative for FIV & FeLV. They have wendy houses with bunk beds for shelter as well as benches and trees for climbing. Daily running costs accumulate through daily laundry, feeding and veterinary check ups. DARG also houses a separate sanctuary for those cats who test positive, yet who are still in good health. DARG cats are special and need your support. Encourage friends and family to sponsor DARG’s cats.